Besides her writing and appearances on radio, Astrologer Anne offers customized astrology readings. With an individual astrology reading, you get to have your own in-depth astrology reading, one on one, with Anne. An astrology reading helps you tap into your personal astrology to understand yourself and get practical guidance to help you in daily life. Anne uses your birth chart (and, if needed, additional charts based on your birth data) to help you gain insight into your unique personality. During your reading, you and Anne will address your strengths (perhaps including some you didn’t realize you have!) and life challenges related to your questions and concerns. She’ll also puts your current situation into perspective by looking at the most important planetary influences and cycles affecting you in both the short and long term. To prepare for your reading, you need to have a clear idea of what you want to discuss. Take a few moments to think about the questions and concerns you want to address with Anne. Write them down, especially the most urgent or difficult ones. Then be sure to include those in your Astrology Reading Application (scroll down for the application). 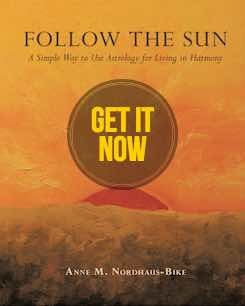 During your reading, you and Anne will look at all of these in the light of your unique, personal astrology. Together, you’ll explore some effective ways to address the root causes of any issues. Right after your session, take a few minutes to reflect on your conversation with Anne. Jot down any additional notes or ideas. Also, write down the next steps you plan to take, based on what you learned during your reading. If you meditate, you may find it helpful to do so sometime during the day or evening after your reading. Astrology readings last about 90 minutes and are priced at $450. Once we receive your request and your payment, we’ll be in touch about scheduling your astrology reading. And once your reading is on Anne’s calendar, you will receive confirmation by e-mail. 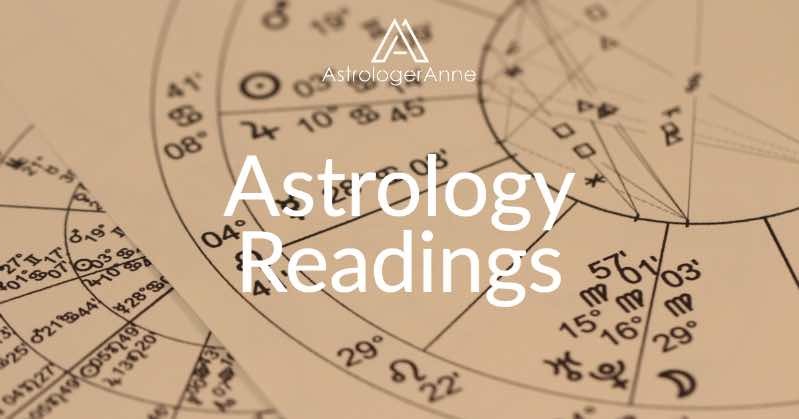 NOTE: Payment for your astrology reading is required at the time you request a session, before we book your appointment. The price is $450 for an approximately 90 minute session. You may send your payment via PayPal, using the PayPal button below. Payment for your astrology reading is required at the time you request a session. The price is $450 for an approximately 90 minute session.